D&A Talent offers the best premiere on-screen classes as well as exposure. Learn from film, television, camera, runway, pageant, dance studio, vocal coaching, and audio recording studio classes. D&A Talent is the best talent development school in Minnesota. From etiquette to the runway, our talent are ready for agencies. D&A Talent provides consultation and guidance to adults and parents on what "the industry" is like. Because D&A networks daily with industry pros, we stay up to date on the do's and don'ts. Everyone learns about the industry. Business practices. What is an agent? Do I need a manager? How do I get paid? Our talent, whether young or mature, always know what to expect and are never caught off gaurd. In this industry, there can be the good, the bad, and the ugly. Which one do you want to set yourself up with? Marketing is not only about the knowledge, we prepare you with head shots, portfolio knowledge, audition evaluations, and on-screen/studio knowledge. D&A TALENT WORKS WITH ALL OF THE COMPANIES, AGENTS, MANAGERS, AND CASTING DIRECTORS BELOW!! Local Auditions. D&A Talent works closely with the Twin Cities top Agencies. Without D&A Talent auditions for these agencies would not be as accessible. Submissions for these agencies without D&A Talent would include months of waiting for your information to be filtered through their public submissions. D&A Talent removes those public submissions all together. D&A is proud of the fact that our talent have always began locally, and many of our experienced talent continue to stay local; because many of our talent who have made Minnesota their home, don't wish to pack up and move out of state. National Auditions. Perhaps the main reason our talent are among the best. Exposure to National markets is far more valuable than gold itself. Think about it. When you audition for an agent (if you get the opportunity to on your own), how much interaction do you receive? We're betting close to none. Where as if you audition through D&A, you actually get to exchange words and you receive a written evaluation every time you audition. Where else can you get that? D&A Talent's award winning coaches, coach talent from beginning to end on how to further develop their skills. From the moment they learn a monologue, a commercial a script, proper etiquette, proper posing, or harmonizing. We're proud to say our talent is the finest in the Midwest. We are the best on screen development academy around. Local and National agencies continually select our talent for representation over the thousands of other available talent in the industry. D&A Talent offers a variety of classes including, TV-1, Audition Technique, Tiny Stars, Improv, Building A Character, Scene Study, Ambitions of An Actor, and many more. All of our coachimg sessions are tailored to help our talent become the best actors they can be. 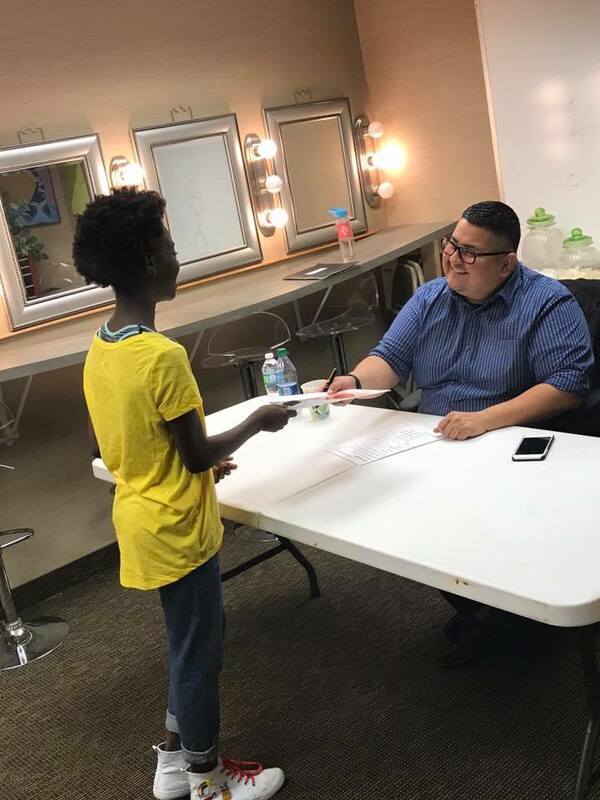 D&A Talent offers a variety of classes including, TV-1, Audition Technique, Tiny Stars, Improv, Building a Character, Scene Study, Ambitions of An Actor, and many more. All of our coaching sessions are tailored to help our talent become the best actors they can be. The success of D&A Talents owner Connie Steckling, gives models a head start in the industry. With personal connections with the Industry's top agencies including IMG, NEXT Model Management, CLICK Model Management, L.A. Models, and many more. D&A Talent has been more than successful placing models with these agencies, and training them to succeed in the modeling industry. D&A Talent offers a one of a kind music course that goes over the essential of the music industry. With our award winning coaches and state of the art recording studio, D&A Talent has developed a music program that gives you the building blocks to succeed in the music industry. D&A Talent opened our very own full recording studio and production company that is equipped with the industries top necessities including Waves Mercury, Pro Tools, Logic Pro, Kontakt 4 and 5, and many more plug ins, instrument libraries and DAWs. To learn more about D&A Partnered production company visit www.nikitastudioandproduction.com. With our award winning voice over coach, and very own recording studio, D&A Talent is the Twin Cities best when it comes to learning the ins and outs in the industry. Listen to some of our work below.